Lunch Lady Brownies for Gasparilla! 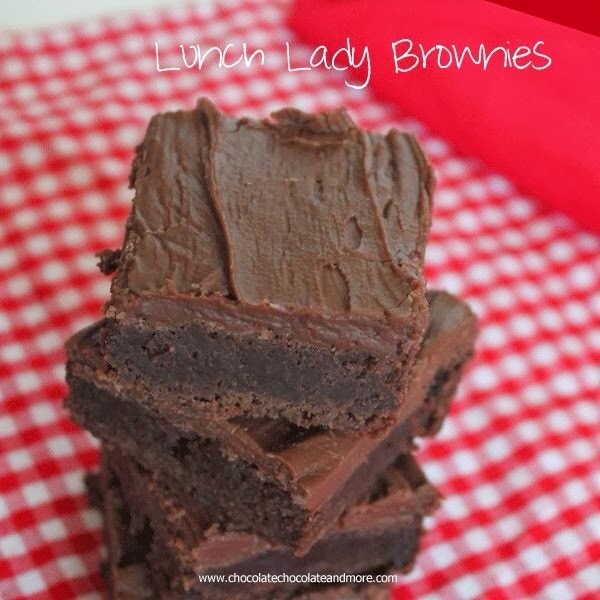 The Daily Nest: Lunch Lady Brownies for Gasparilla! Lunch Lady Brownies for Gasparilla! Don't these look heavenly! I was looking for something to make to snack on while we're watching the Gasparilla Parade. Here in Tampa, once a year we have a parade called "Gasparilla" it's when pirates invade our city and take it over! Not really! But it's a long time tradition. If you'd like more info on Gasparilla here is a link to answer all your questions: Gasparilla Pirate Fest And although we've gone to the parade when the kids were little. We now prefer to just watch it on t.v. So I think I might whip up these little goodies, along with some chips and guacamole and maybe some hot wings too! Oh and we're also painting the empty nest room too! (Progress pics next week) Yay! It's a good day Tampa Bay!!! Preheat oven to 350 degrees, grease a 9x13 pan and set aside. In a mixing bowl, combine butter, cocoa and sugar. Mix in flour and beat well. Add in eggs and vanilla, mix just to combine. Spread batter in prepared pan. Batter will be thick so you'll have to use a spatula to make sure you get to your corners. Bake for 22-25 minutes until toothpick inserted in center comes out clean. Frost while still warm. For frosting, sift together sugar, cocoa and salt. Cream butter in mixing bowl. Gradually add in sugar to butter, alternating with milk. Mix until creamy. Spread over warm brownies.